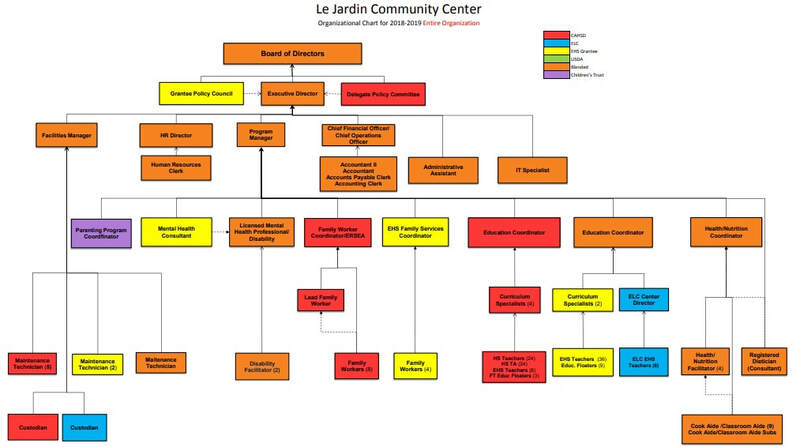 Organizational Chart - Le Jardin Community Center, Inc. The structure of an organization makes all the difference in how well any company operates. At Le Jardin Community Center we have taken time to ensure that the structure of our organization is not only the most effective for the development and stability of our staff, but also the best fit to help the children and families we are all so passionate about.